Q: What happens when artists and brewers get together? A: You’ll have to wait until spring to find out! Sandwiched between Costco, Call Lane, a derelict petrol station, and a knot of dual carriageways, The Tetley occupies as unique a location in Leeds’ physical landscape as it does its cultural one. Walk the short distance to its wrought iron gates from the bang-bang-mind-the-drunk madness of the Calls/Call Lane/Lower Briggate triangle, and you’ll feel like you’re in another world — or the edge of a new one. 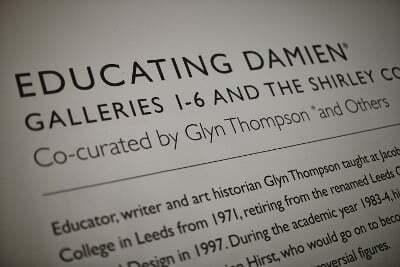 The 2015 Tetley’s Collection Commission is a celebration of The Tetley’s position at this multifaceted edge. In collaboration with Carlsberg UK, which owns heritage beer brand Tetley’s, The Tetley are inviting 10 artists to design a new set of beer mats and other beer-related objects inspired by the Tetley’s huge archive of everyday objects from its days as a working brewery. She added that without the support of Carlsberg UK in acquiring and renovating the site, it would not have been possible to transform the disused brewery into a contemporary arts venue. Sitting on comfortable sofas overlooked by the brewery’s elegant goods lift, as well as Paul Digby’s sprawling Portraits of Emotion, it was easy to see what Pippa meant when she said “you can’t escape the reality of the building.” When Project Space Leeds took over the building in 2013, “it was as if everyone just walked out and left. The variety of everyday items that remain is just fascinating.” The 2015 Commission is just the latest in a series of projects which have used the ex-brewery’s rich past as a starting point for new artwork. 10 artists working at the cutting edge of art, design and illustration have been selected to respond to the brief and their work will be on display at The Tetley from 12 March until 10 May. A judging panel comprised of The Tetley’s curatorial team and brewers from Carlsberg UK will then choose the winning artist, whose designs will be rolled out to selected pubs nationwide. 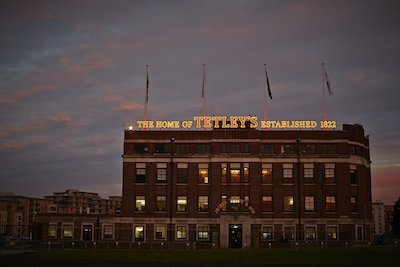 The ten selected artists’ work will be exhibited at The Tetley from 12 March to 10 May, and the winning artist will be selected on 25 March. If you don’t make it down to the exhibition, keep your eye out for the Collection, which will be rolled out to pubs nationwide from 30 April.